Cybergenics - the world leaders in Sports Nutrition remain at the very forefront of technological innovation. The products remain the same on the outside, but on the inside, they represent the pinnacle of supplementation, combined with the latest scientifically proven nutritional advances, and state of the art training methodology. Each program represents a complete matrix of diet, nutrition and training specifically targetted to each individuals goals, leaving nothing to chance. No need to stand in front of the shelf for hours wondering what to take with what - each program is complete. Cybergenics - the Original and the best! There are many reasons people gain weight: poor eating habits, lack of exercise and malfunctioning metabolism. Cybertrim PRO-HCG diet will benefit your eating habits for the better and work significantly on your metabolism to draw your energy from the right fat reserves. Your physical health will improve as a result of not carrying around the added weight and even more importantly, your mind and body will be restrained. 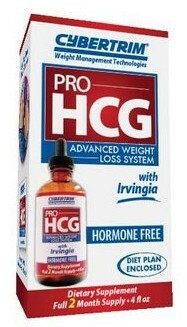 Cybertrim PRO-HCG won't just be a diet for you-it will be a way of life! e-mail us for a quote on International orders. The Complete 60 day Program which leaves nothing to chance. Containing 7 state of the art, technologically advanced supplements, a detailed in depth training manual, and an illustrative DVD-Video. Designed to be the Ultimate Bodysculpting program available anywhere Phase 1 represents the pinnacle of scientific research into achieving that sought after sculptured body you always dreamed of. 5 synergistically developed nutritional supplements, a DVD Video, and fully comprehensive manual detailing supplement use, diet and training come together in this ultimate package designed for Bodybuilding beginners or those who just want to look good. How many other weight loss programs have been available for over 15 years. Cybertrim is a complete package encompassing everything you need to lose that fat. Extensive Research into the precise combination of supplementation, diet (using normal food), and exercise, have resulted in this revolutionary all in one program. Containing 4 advanced supplements, an audio tape, detailed manual, body fat measuring calipers and charts, you need nothing more. Strip your Body Fat now. Thyro-Slim A.M./P.M. is an advanced "21 day rapid weight loss formula". This unique dual fat burning formula is designed to promote weight loss ALL DAY LONG. The patented, time-released A.M. formula helps provide sustained thermogenic fat burning, metabolism support and appetite control, for up to 12 hours. The stimulant-free P.M. formula is designed to continue boosting your metabolism while supporting your adrenals, controlling water retention and improving your ability to sleep. Thyro-Slim A.M./P.M. is scientifically formulated to help you achieve maximum weight loss�FAST! Need to lose weight fast? Spirostim is the solution! Preserves muscle tissue while you lose weight with this natural diet powerhouse. Spirostim� combines the science of two technologically advanced thermogenic compounds for maximum fat reduction with the most potent anti-catabolic formulation available for the maximum preservation of muscle tissue during weight loss. Cybergenics Quick Trim 6 Week Mega-Weight Loss System is a comprehensive, all encompassing program that leaves nothing to chance in conquring weight loss - and toning. It incorporates AM and PM supplements and a sophisticated diet plan in which you eat four to five times a without feeling hungry. Also included are exercise fitness guidelines to help maximize the weight loss you can experience this wonderful system. Every athlete and Bodybuilder knows that delivering Amino Acids into your system is easy, any good protein will do that. The challenge is delivering precisely the right combination, in precisely the right quantities, at precisely the right time. Vortex was designed to take care of this dilemma. Representing the results of a detailed analysis into this exact question, our research and development team have created Vortex to provide you with the ultimate Amino Acid delivery, in tablet form. No mixing of protein shakes needed here. Vortex delivers a dynamic powerhouse of Bodybuilding excellence. This information presented is intended to be used for educational purposes only. The statements made have not been evaluated by the Food and Drug Administration (U.S.). This product is not intended to diagnose, treat, cure or prevent any condition or disease. Please consult with your own physician or health care practitioner regarding any suggestions and recommendations made.